The engine bearings Engine Fix UK supply are manufactured from a variety of bearing materials to enable us to provide the optimum bearing material for your engine application. A bearing surface has to be strong to withstand high oil film pressures but it also needs to be hard to minimise wear and prevent failure from fatigue. In contrast a bearing surface needs to be soft to allow the bearing to conform to the shaft when cylinder block distortion occurs and to protect the journal from damage by absorbing hard foreign materials. This conflict is resolved in bearing material design by combining together materials which individually have the desired characteristics. These are either layered, mixed together cold, or melted to form an alloy. Frequently, a combination of these techniques is used and the material is then bonded to a steel back to produce the finished product. A very thin layer is sometimes electroplated to the finished bearing to enhance surface properties, this is known as overlay. The end result is a bearing which has all the desired characteristics. The wide range of bearing materials ensures that a suitable material is always available. Bearing materials can be grouped into three categories, these are Babbitt (white metal), Copper Lead and Aluminium. This is a very popular bearing material, it contains 90% tin as a matrix with antimony and copper as alloying elements. It has excellent properties of embeddability, conformability and resistance to seizure although with low load carrying capability such that its application is restricted to high hp marine engines and other applications such as camshaft bushes and thrust washers. Made from copper lead alloys containing a high percentage of lead and almost no tin are comparatively softer and therefore no necessity of soft, overlay plate on these bearings. 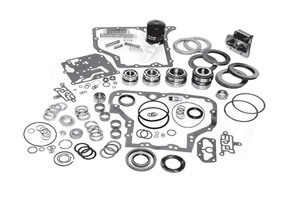 This material is built specifically for intermediate loaded engines and offers good embeddability and conformability. 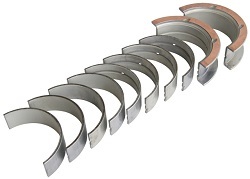 Thrust washers are manufactured from copper lead alloys have medium to high percentage of tin. 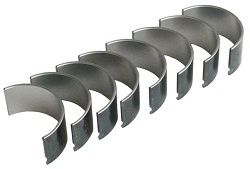 As such these are hard and possess high fatigue strength, high resistance to wear and corrosion which make them a very popular choice for thrust washers. Bushes are manufactured from various types of copper lead alloys according to the load carrying capacity. Main bearings bushes and camshaft bushes of stationary engines are manufactured from copper-lead alloys having a low percentage of tin. 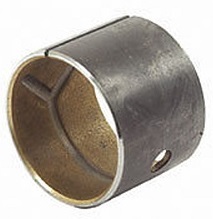 But small end bushes, rocker arm bushes are manufactured form copper-lead alloys having a high percentage of tin, these materials possess high fatigue strength, high resistance to wear and corrosion which make them popular for bushes. There are various types of copper-lead alloys according to the different proportions of Copper, Lead and Tin, these alloys when plated have higher load carrying capacity than white metal and straight copper-lead alloys. The overlay is either lead-tin or lead-tin-copper and having a thickness of 0.001”. These overlays are very soft and have excellent embeddability, conformability and corrosion resistance without impairing the higher fatigue strength of inner copper-lead-tin alloy. The steel backing to give bearing strength and rigidity. The copper-lead-tin intermediate alloy lining is permanently bonded to the steel back by sintering and cold-rolling process. It is the lining alloy that will stand up under extreme bearing loads. A Nickel plate or Nickel barrier – just 2-3 microns thick, preventing the tin from the overplate alloy from being drawn into the copper-lead alloy lining. 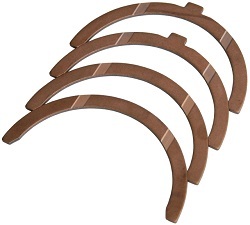 The over lay plate - a babbitt type material that easily conforms to slight irregularities in the crankshaft journals during engine run-in.The thin lead tin or pure tin flash plate which provides corrosion and rust resistance all over. The thin lead tin or pure tin flash plate which provides corrosion and rust resistance all over. Material is steel backed 20% reticular tin-aluminium alloy bearing which is suited to extra heavy duty applications with high compression ratios of diesel engines, this bearing will withstand the most rigorous operating conditions. This is an improved material over AS-15C having higher resistance to seizure, good anti-corrosion properties and improved fatigue strength. The Steel back gives strength and rigidity to bearing. The aluminium tin alloy is permanently bonded to steel back by cladding process which will withstand extreme load conditions. The load carrying capacity, the fatigue strength of Aluminium Tin alloy is higher than that of sintered copper lead alloy. Aluminium Tin bearings have excellent conformability and as such high resistance to seizure. 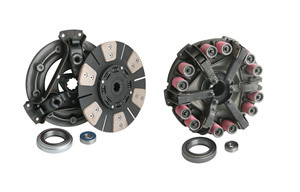 These can be used with both hardened and unhardened shafts. One of the built-in advantages of Aluminium Tin bearings is high resistance to corrosion. Aluminium Tin bearings are soft and therefore do not need any overlay plating. Due to the absence of overlay the wear rate will be uniform throughout application life. In the case of copper lead plated bearings, after an average of 80,000 kms, the overlay will wear out and the copper lead intermediate alloy will start getting exposed. The wear rate will be lower than Aluminium Tin bearings up until this stage, after this exposure, the wear rate of copper lead bearings will increase tremendously. Aluminium Tin bearings can be resized to some extent whereas Copper Lead plated bearings cannot be resized or scrapped as these operations will damage the overlay. The thermal conductivity of Aluminium Tin is more than copper lead alloy: as such heat produced at the junction of the bearing and crankshaft will be transferred quickly in the case of Aluminium Tin bearings. Thus overall this material is the best compromise between reliability, longer life and cost. 20% increased fatigue strength than other materials. Seizure resistance is 2.5 times more than 20% Tin-Aluminium Material. 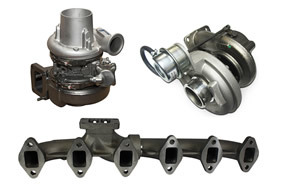 Material is compatible with Steel as well as SG Iron crankshafts. Retains its hardness even at higher operating temperatures. Higher resistance to corrosion and cavitation erosion than copper lead bearings. Pre-finished half bearings are usually supplied in STD size and 0.010”, 0.010”,0.030” and 0.040” undersizes, in certain cases this range can be increased but the range is generally limited by the inherent strength of the crankshaft and the OEM regrind limits of reconditioning. Bushes are generally supplied in both pre-finished and unbored conditions, unbored bushes can be finished to final size after fitting in housing by one of the following machining operations such as boring, reaming, broaching or burnishing. 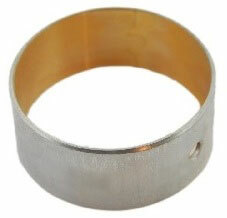 Generally supplied in STD size and 0.005”, 0.010” oversize. When the thrust face of the crankshaft is ground at the time of journal grinding the wall thickness of replacement thrust washers is required to be greater than standard to maintain correct endfloat or thrust clearance. The running clearance between the bearings and its mating shaft is one of the vital factors which decide oil film thickness in hydro-dynamically lubricated bearings. 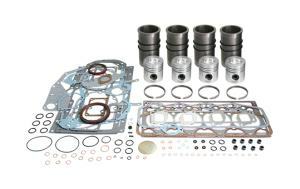 It is responsible for building up the lubricating oil pressure at the bearings. Too less an oil clearance will break the oil film and too large a clearance will result in insufficient oil pressure. It is, therefore, very essential to maintain the running clearance within the limits specified by the OE engine manufacturers. The running clearance is controlled by the housing diameter, the bearing wall thickness and the shaft diameter. If the clearance recommended by the OE engine manufacturer is not known, the suggested clearance is shown in the chart below. 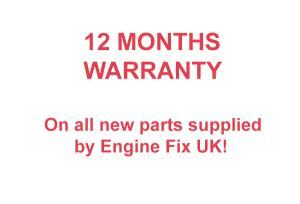 Engine Fix UK can provide all types of bearing/bushes to recondition your crankshaft, connecting rods and camshaft in both standard sizes and oversizes.